Dr. Kristen Turner with her co-author Dr. 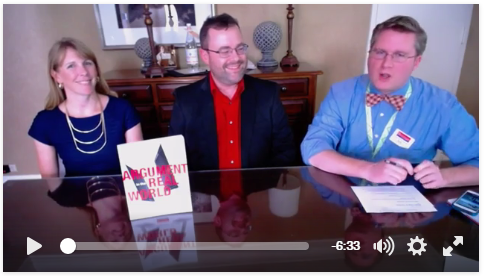 Troy Hicks of Central Michigan University were recently live with Heinemann Publishing to discuss their book, Argument in the Real World: Teaching Adolescents to Read and Write Digital Texts. Turner says that we need to understand that argument is more than writing an academic essay, it’s about contributing to conversations in our daily lives, many of which are in the digital space. We need to understand how the different digital tools at our disposal (text, images, links, et. al.) can be used to communicate effectively. Read more about Dr. Turner. Read an article adapted from Drs. Turner and Hicks’s book on the Heinemann Publishing website.